A scene showing a fireman doing his best to extinguish the fire at Jalan Pua in Sibu yesterday morning. The blaze totally destroyed the wood factory. YESTERDAY morning’s fire at wood factory in Jalan Pua, Batu 3 1/2 in at its height. fire totally destroyed the factory. 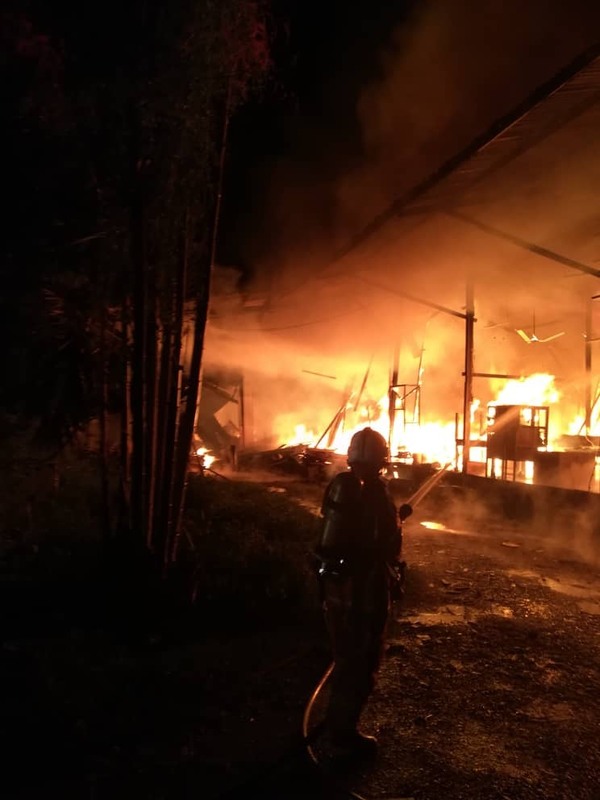 SIBU: A wood factory in Jalan Oya, Batu 3 1/2 was destroyed 100 per cent in a fire that occurred early Tuesday morning. 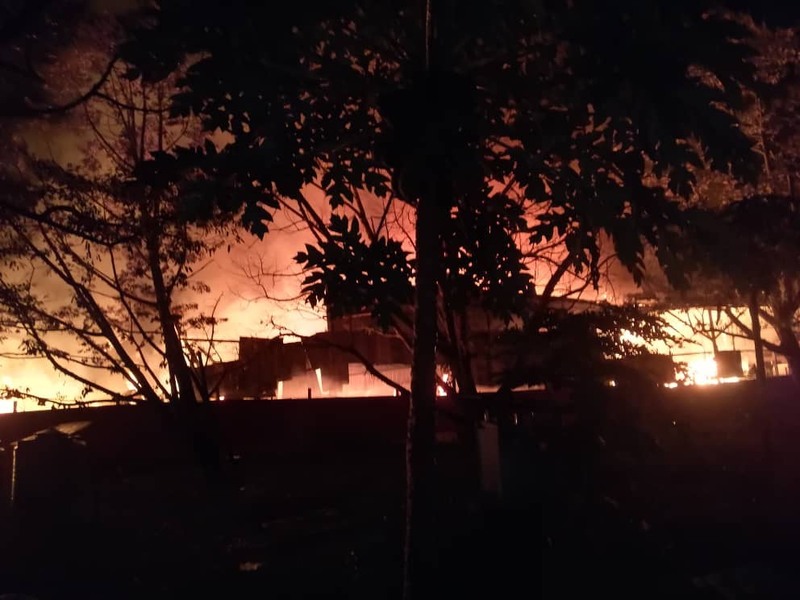 The Sarawak State Fire Operation Centre (PGO) received an emergency called at 2.33am on Tuesday. A total of 16 firefighters which were led by PBK II Norhasnita Manan from the Sibu Fire and Rescue Station (BBP) rushed to the scene of the fire after receiving an emergency call. BBP Sungai Merah also assisted with the strength of seven firemen led by PBT Jankey Jikat. Upon arrival at the scene, the firemen did their best to extinguish the fire. Meanwhile, their problem was made worse as the area has no fire hydrant and the main road access to the factory covers a distance of about 1000 feet with narrow road condition. Firemen managed to get water sources from nearby trench by using two units of freight pumps on the left side of the building. They managed to control the fire at 4am but the factory was totallyrazed to the ground. Apart from the firemen, police personnel were also helping at the fire scene. Wood factory totally destroyed in fire 0 out of 5 based on 0 ratings. 0 user reviews.